Akiva Neuman, a Yeshiva University rabbinical student, wasn't content spending his days studying Talmud and accounting, and working as youth director for the Young Israel of Holliswood, Queens. 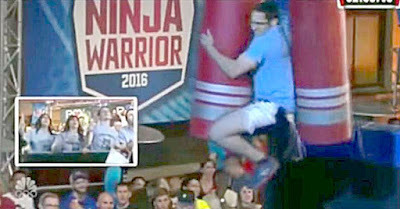 Looking for more challenges and pursuing physical fitness, Akiva entered the competition for the title of American Ninja Warrior on the popular TV reality show. 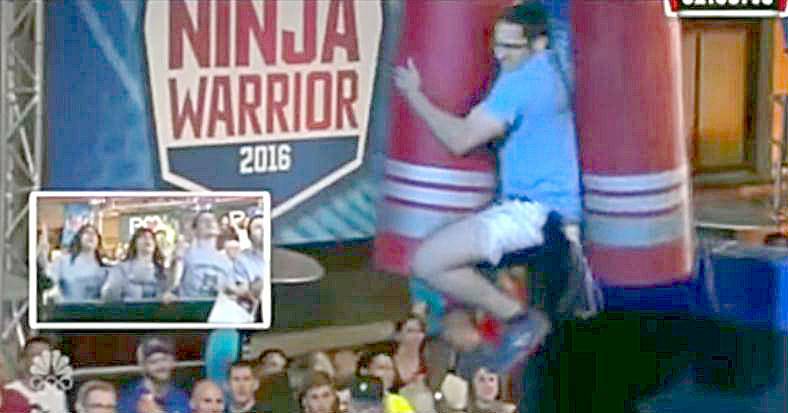 The 25 year old Neuman, who grew up in Highland Park, New Jersey, took part in the Philadelphia qualifying match for American Ninja, a sports competition reality television show, making his way through a challenging obstacle course proudly wearing his yarmulka and tzitzis. Now entering its eighth season, American Ninja contestants compete in a series of courses hoping for a chance to compete in the show’s Las Vegas finals on a physically grueling, four stage obstacle course consisting of over 20 challenges. The ultimate goal? A $1 million cash prize. So, how did he do? You'll have to watch the video to find out. He was in such good shape. It's a shame he didn't make it to the "last stop"